Cybercrime is something that has the potential to impact everyone—from individuals to major corporations in all industries and parts of the world. Criminals using their knowledge of computer science to carry out attacks are becoming more prevalent, and more dangerous. The annual cost of cybercrime is anticipated to increase to $6 trillion by 2021, doubling the impact from 2015, Cybersecurity Ventures reports. To take on criminals around the globe, it’s critical that educated and trained cyber security professionals are prepared to identify and track attackers and protect organizations against infiltrations. A cyber security skills shortage means it’s difficult for companies and governments to find qualified professionals to safeguard information. In 2017, there were 780,000 people working in cyber security positions. Still, 350,000 openings remained unfilled. A career in cyber security starts with pursuing the right education. Although there are many opportunities in this field, cyber security is highly competitive. Because there is so much at stake when criminals target an institution—whether it be a single person’s bank account or a health care provider’s database—it’s essential that the professionals tasked with keeping information safe are knowledgeable and skilled. Earning a Bachelor of Science in Information Technology is a sound first step, as is landing an entry-level IT position. Taking your education and experience to the next level through a Master of Science in Management Information Systems may be a promising way to gain additional skills and expertise, and to earn a position such as IT security manager or chief information officer. Students will learn how to develop a technology policies and gain in-depth knowledge on how to manage information resources. This course gives students a unique perspective into the mind of a hacker by discussing contemporary attack styles and reviewing how to create and operate network systems designed to prevent or detect crime. If an attack occurs, it’s critical that the target can determine how to move forward in the best way possible. This course details how to prepare for and respond to security incidents. Students will learn what a digital investigation entails, including how to identify, track and preserve digital evidence. Distributed-denial-of-service (DDoS): A flood of illegitimate requests to a server exhausts its resources, rendering it incapable of handling actual requests. Malware: Software that’s programmed to steal or destroy data is installed into a system. SQL injection: Malicious code inserted into a server that uses SQL extracts sensitive data. Man-in-the-Middle attack: An attacker infiltrates a two-party exchange to steal information. Phishing: Fraudulent emails or other forms of communications encourage people to share their private information or install malware. Cyber security professionals also need to know how to identify vulnerabilities in their own networks. As such, penetration testing is a critical skill. The concepts covered in IS 620: Cyber Attacks & Threat Mitigation address these. The ability to identify and track digital evidence of cybercrimes, or the cyber criminals themselves, is also a valuable skill for professionals in this line of work. Students will learn about these topics in IS 644: Digital Forensics. 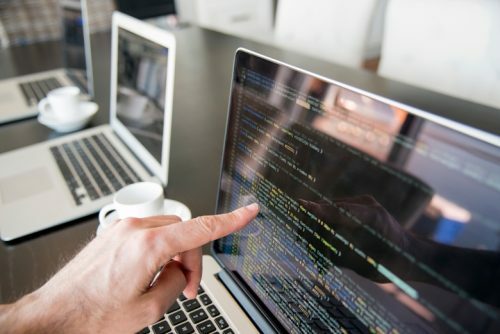 The master’s degree in management information systems online program prepares students up for careers in the growing field of computer and information security. When students choose the Cyber Security Management concentration, they’ll gain in-depth knowledge and skills they need to prevent attacks, identify criminals and recover after an incident. For more information, reach out to an enrollment advisor today. Cisco What Are the Most Common Cyberattacks?